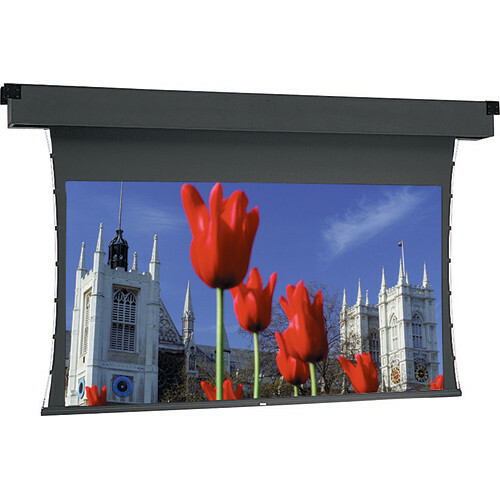 The Dalite 49 x 87" Dual Masking Electrol Motorized Projection Screen is a unique screen for professional, educational and corporate use. The "wow" factor of this system is that it includes a second motor which can lower masks into position to convert the screen to a different format. In this way, it eliminates the necessity of having to buy multiple screens to accommodate various film formats. Consequently, this screen is perfect for cinema and photography schools as well as any venue where guest speakers show up with either film or video presentations. Optional remote controls are available to make your setup even easier. Box Dimensions (LxWxH) 148.0 x 11.75 x 11.5"